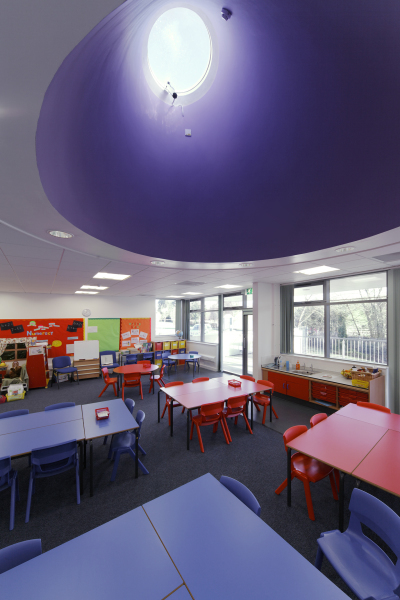 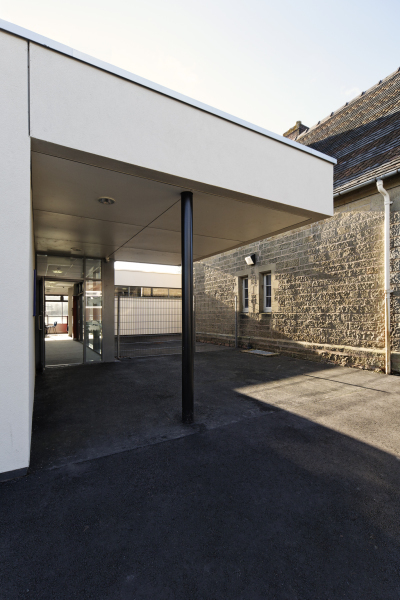 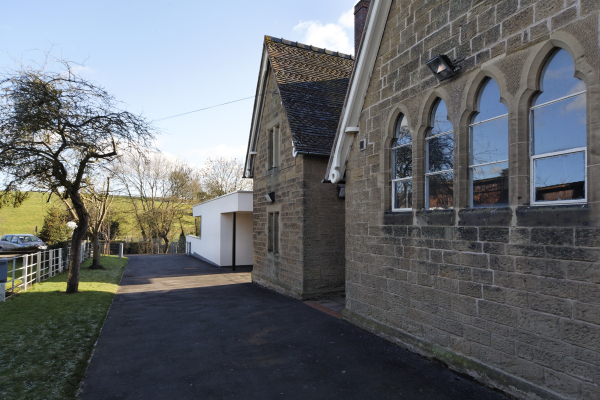 An Extension to an Existing Victorian Primary School. 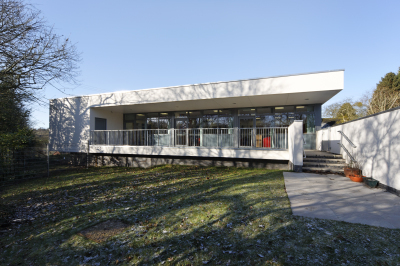 The new building counterpoints the old with it simple form and white rendered walls. 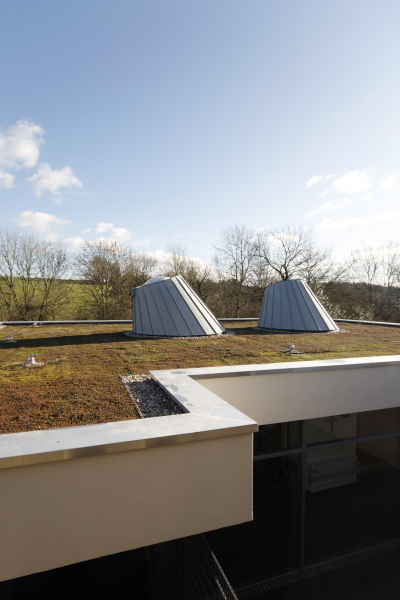 It has a green sedum roof and two cones which bring light and air into the centre of the building. 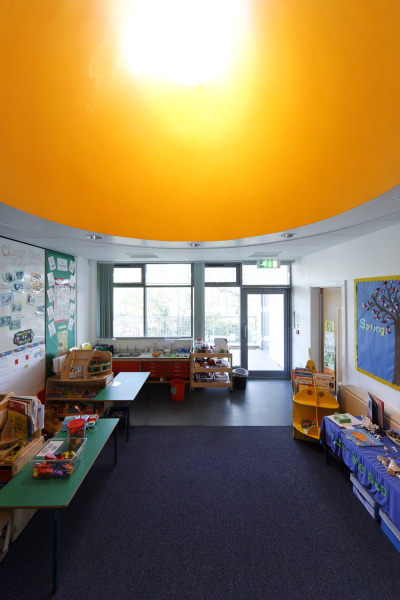 Classrooms open up out onto a small veranda providing a covered external play area on a highly restricted site. 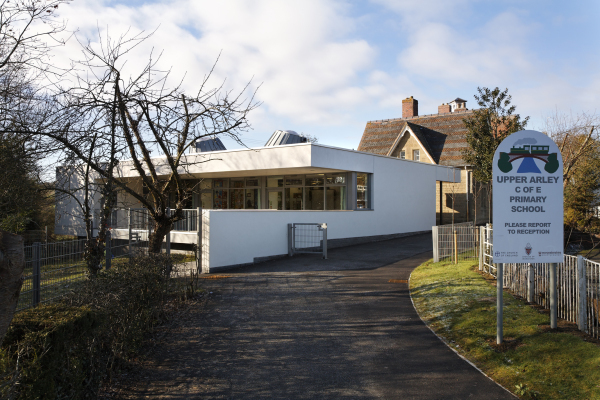 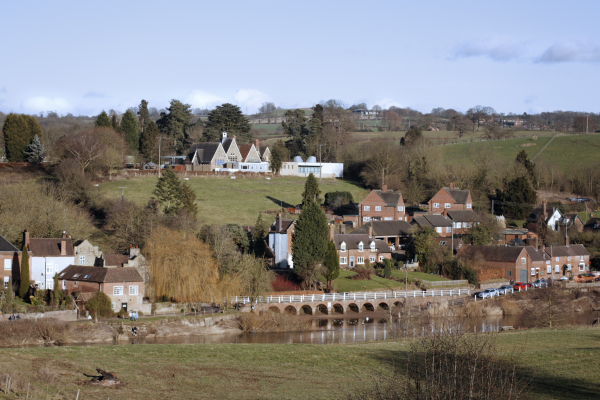 Shortlisted for an an RIBA North West Regional Award 2010.